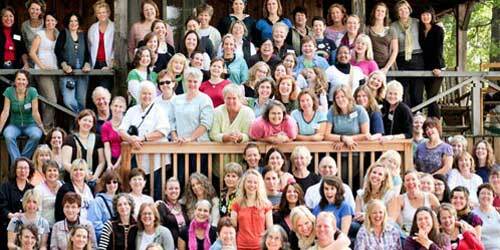 Family friendly hotels and motels and other lodgings in New Hampshire offer comfortable lodgings and easy access to a large number of great entertainments for children and families. Many lodgings welcome your pet dog. Every region of NH offers accommodations close to an assortment of attractions for the kids, such as beaches on the Seacoast; Santa’s Village, Storyland, and Six Gun City in the White Mountains; skiing in the northern and western mountains; and swimming and boating in the fabulous Lakes region. 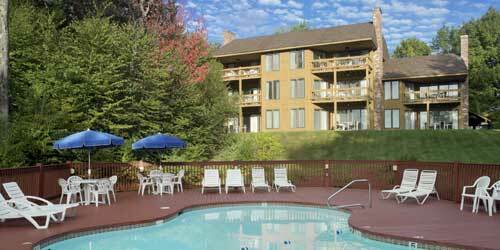 Bring the family to this wonderful resort on scenic Purity Lake in the White Mountains. For more than 100 years, families have been enjoying affordable vacations and great hospitality in a nature-blessed setting, There’s the lake for swimming, canoeing, kayaking and exploring and mountains for hiking, biking, skiing, snowboarding and sightseeing. Stay together in cozy rooms, rustic lodges, mountainside and slope side retreats and lakeside and wooded cottages and condos. Each offers complimentary WiFi, microwave, mini fridge and coffee maker with some offering common rooms and lounges. There’s a sandy beach, boat docks, an indoor pool and fitness center. Seasonal rate options include lodging, meals, recreation programs and use of all resort facilities. Meals at our on-site restaurant & pub and family relaxation included. Bring your family to Rockywold Deephaven Camps and step back through the years to a simpler time - When families bonded over Sunday softball games, canoe races and weekly talent shows, and friends were made in big post-and-beam dining halls over dinners served home style. 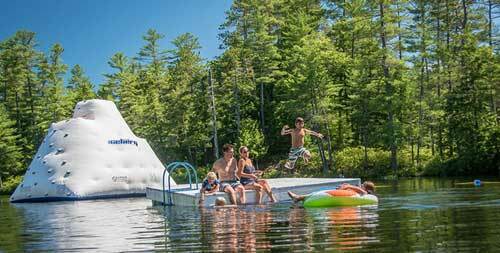 Stay in one of the camp’s 61 early-1900s cottages and cabins (each with an icebox and fireplace – ice and firewood delivered daily) where you can admire beautiful Squam Lake from your screened-in porch or private dock. Or stay in one of the two lodges, both with spacious porches overlooking the lake. Go hiking, play tennis on a clay court, sign the little ones up for Wee Campers or just relax with a book by the lakeshore. 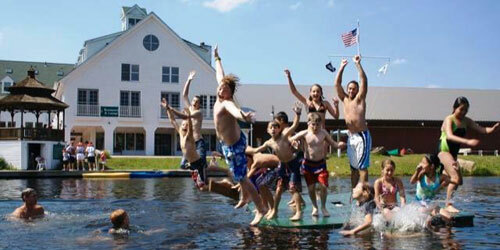 Unwind at Rockywold Deephaven Camps: a rustic family vacation since 1897. There is nothing else on New Hampshire’s Lake Winnipesaukee like The NASWA Resort. We’ve got waterfront rooms and colorful cozy cottages, just steps to the largest private of sandy beach on the lake. 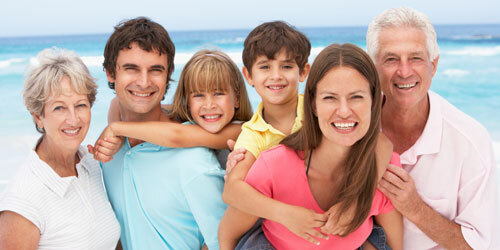 Houseguests receive complimentary overnight dock space and kids always stay and eat free! Dine with a lake view at our Blue Bistro for a hearty breakfast and an exquisite dinner or embrace the lake life at the NazBar & Grill which lives on the shores of Lake Winnipesaukee. Dip your toes into the lake, grab a bite to eat, enjoy a tropical drink and let yourself be transported into paradise! Up for adventure? 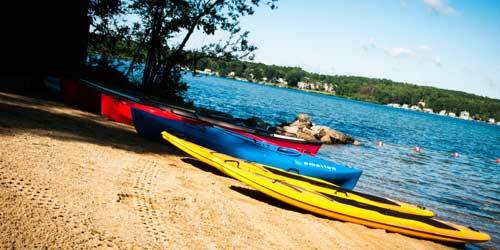 Grab one of our complimentary kayaks, paddleboards or paddleboats and explore the lake! Centrally located, close to area attractions and just a short drive to the White Mountains! 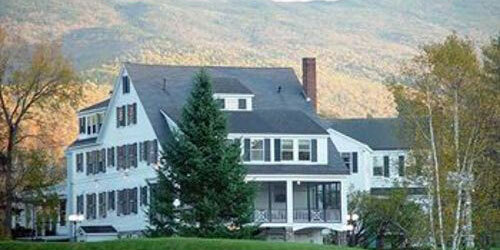 The real beauty of a vacation at the Franconia Inn in the White Mountains is - any time of year. Families love this majestic wonderland including the comfortable lodgings, great amenities, delicious meals, and endless family fun and activity. In winter, come for the skiing, snowboarding and snow tubing. In summer, go mountain biking, fishing, and hiking on 20 miles of trails right outside your door. There are crackling fireplaces, a library, scrumptious desserts, and spacious family suites. Nearby is the Flume, Clarks Trading Post, the Mount Washington auto road and the cog railway to take you to the summit. Stay on site and enjoy the pool, horseback riding and in winter, sleigh rides pulled by a Belgian draft horse. New Hampshire's White Mountains are a wonderland for kids. That's why your family should spend a vacation at the Hampton Inn Littleton. We're close to all the attractions -- the Mount Washington Auto Road, Cog Railway, Santa's Village, Story Land, Clark's Trading Post (home to trained black bears) and more. Enjoy hiking, fishing, mountain biking, and horseback riding. In winter months grab your skis and head to nearby Cannon Mountain or Bretton Woods. Our hotel offers all sort of amenities to make your trip fun and relaxing, including 42-inch HDTV with premium cable channels, free wi-fi, microwave, refrigerator, coffee maker, and, if you desire, high chairs and cribs. Splash in our heated saltwater pool. Challenge each other in our video arcade. 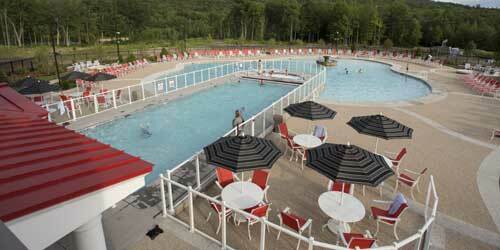 Summit Resort in Laconia, NH, is the place for year-round family fun. We're located next to Weirs Beach on Lake Winnipesaukee, one of the largest bodies of water in New England. 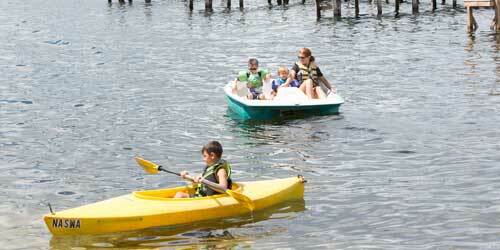 Enjoy swimming, fishing, kayaking, boating, and water skiing. In winter months head to Gunstock Ski Mountain, just ten minutes away. We offer two-bedroom accommodations, with a full kitchens, in-room washer and dryer, an electric fireplace, two flat-screen TVs, a balcony, and a Jacuzzi tub in the master bedroom. Suites include a queen-sized pull-out sofa, and sleep six. Our 25,000-square-foot Amenity Center offers pools, water slides, a racquet ball court, saunas, a Roman spa, and more. We have an outdoor pool, too. Bring the family and settle onto Hampton Beach at this popular lodging on New Hampshire’s seacoast. You’ll find everything to love about Hampton Beach from water sports and whale watching to fireworks and festivals to outlet shopping, entertainment and its historical heritage. Oceanfront and ocean view rooms feature all the comforts of home plus exceptional service and New England charm. Enjoy flat screen TV’ with premium channels & complimentary wi-fi. There’s also a fitness room, 24 hour market, an Indoor heated pool with a retractable roof, sun deck overlooking the Atlantic Ocean, three restaurants and the Sandbar Rooftop Outdoor Bar. Special deals abound to go along with the crisp ocean air and warm, friendly hospitality. Families have been convening here through 60 years and four generations to prove that the family vacation is alive and well at the Margate Resort. Set in natural splendor on Paugus Bay and Lake Winnipesaukee, you’re in for the best in outdoor recreation and family relaxation. On site is 400 feet of private sandy beach, lounge chairs, canoe, kayaks and paddleboards, and a fun and festive Beach Bar where lunch, dinner and beverages are available all summer long. Choose a spacious family room with Keurig® coffee maker, Green Mountain® coffee, irons & ironing boards, and hairdryers, a mini-fridge and free WiFi. The kids will find the indoor and outdoor pools to their liking while Mom and Dad can check out the fitness room or get a massage in the spa. At Steele Hill Resorts in New Hampshire's Lakes Region, we've got room for the whole clan. Our spacious rooms feature king-size beds, flat-screen TVs, and kitchens. Dine in our Hilltop Restaurant, where the fresh seafood, aged beef, and homemade soups are as magnificent as the views. 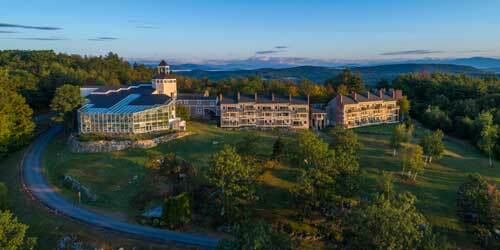 To best appreciate our panoramas, climb our enclosed observation tower to gaze on Lake Winnipesaukee and Lake Winnisquam framed by the White Mountains. And there's so much to do here. Our amenities center features heated indoor pools and hot tubs in a plant-filled conservatory. We've got outdoor pools, too, as well as a nine-hole golf course, tennis courts, a health club, a fishing pond, children's playgrounds, and X-Box Kinect & WiiU gaming systems in the lobby. Families that love adventure will find it in the White Mountains in one of the Northeast's biggest outdoor playgrounds. Relax in individually owned superior, deluxe and loft style suites that sleep 4-8. Enjoy fully-equipped kitchens, dining/living area, full bath and a separate bedroom with queen or king size bed, twin bed with trundle and a pull down Murphy bed or sleeper sofa in the living room. There’s free wireless internet, indoor and outdoor heated pools, an exercise room, a children’s cinema and game room. Take the Cog Railway up Mt. Washington or a chair lift at Snow’s Mountain. Year round there’s skiing, skating, hiking, boating, tennis and golf and great shopping, food and the White Mountain Athletic Center in Town Square. 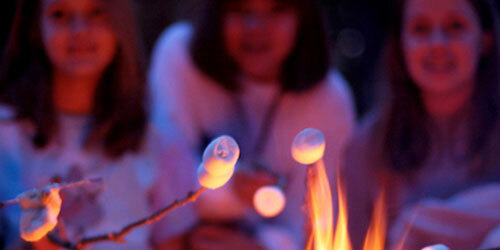 Mountain View Grand Resort & Spa is always a great place for families! Children’s time is filled with fun and activities throughout the entire day, including swimming in indoor and outdoor pools, nature hikes, campfires, biking, 'ultimate' frisbee and crafty projects. We also offer our complimentary kids camp called the Mountaineering club. Our trained counselors host imaginative, interactive activities for youngsters ages 5 and up, while parents can enjoy some play time of their own. In addition, the resort proudly offers four-season fun for the whole family, with cross country skiing, snowshoeing, snow tubing, tennis, swimming, axe throwing, and more activities right on the property. Fishing, boating, hiking and Santa’s Village are located nearby.